There are many models of inquiry learning which schools may choose to adopt or adapt. This table displays a selection of well known inquiry models. It compares the terminology used across each of the stages of the inquiry process. Click on the table to access a PDF version with hyperlinks. Dr Mandy Lupton, Senior Lecturer in the Faculty of Education at the Queensland University of Technology gives an excellent treatment of what forms ‘inquiry learning’ in her blog post. It is great background reading for any teacher wishing to explore further. Inquiry is based on a Fertile Question. 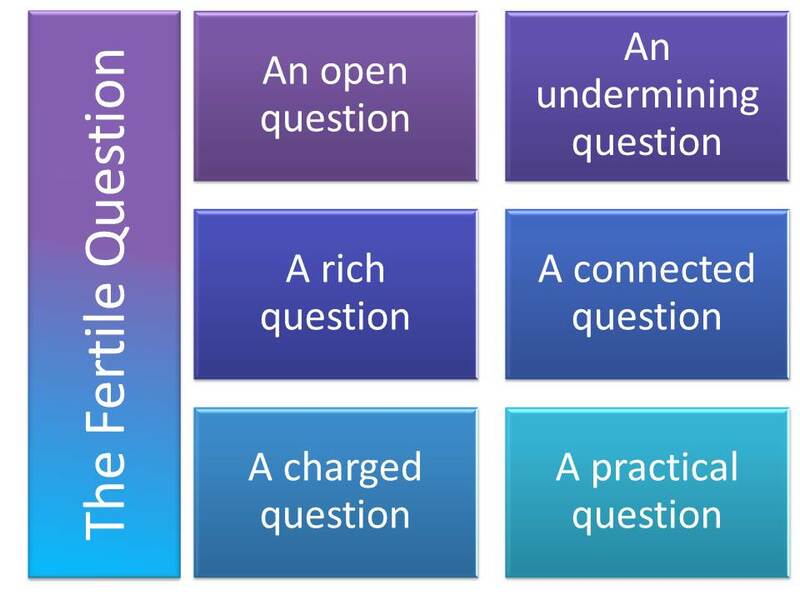 A fertile question has several characteristics. Harpaz, Y. (2005.). Teaching and Learning in a Community of Thinking. Retrieved August 19, 2014. Questioning forms an important part of the inquiry process. An extensive investigation of questions and question frameworks is available on this wiki, Question Skills.